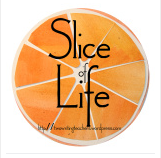 Two Reflective Teachers: Slice of Life: Some things are meant to be. Yup, some things are meant to be. Loved this story of how Okie came to be in the Meehan family. Oh - I loved this story... so many layers of meaning. I could hear and see your dad vividly. So many memories to come with Okie - can't wait to read all about him. See you at NCTE! I'm catching up on my reading after NCTE. This story means so much more to me since I saw you face to beautiful face and the pictures of Okie on your phone. Meant to be!